After picking you up from your location Riad/Hotel the time that would be suited for you ,Our Fes to Chefchaouen. chefchaouen is a city in northwestern Morocco, on the Rif chain. The name of the city means in Amazigh Rifain "the horns", Achawen because of the mountainous peaks that dominate and surround the city. The province has in the field of tourism significant and diversified potentialities consisting of historical monuments. - You return to Fes, and you will finish your Fes to Chefchaouen day trip . 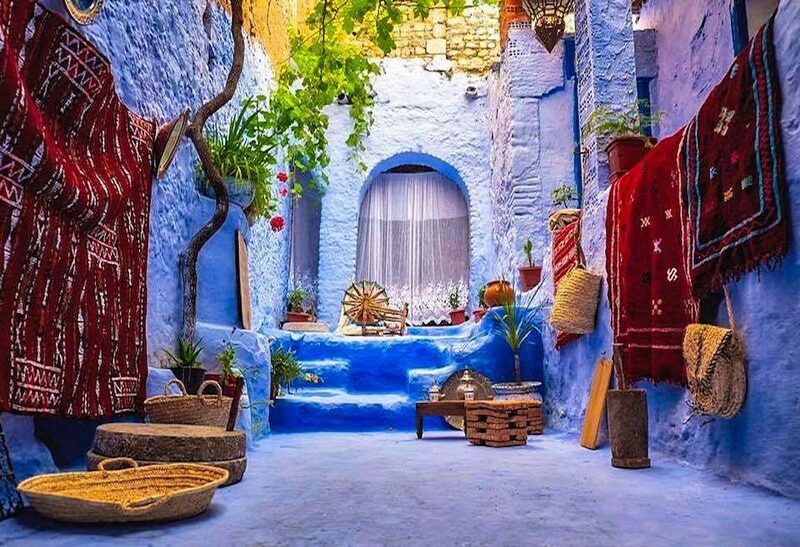 The blue pearl of Morocco , in the north of the country is Chefchaouen. If blue is your favorite color, you will surely love this city. All the medina (old town) of Chefchaouen is a mosaic of shades of blue with its small houses between the mountains of northern Morocco. Chefchaouen is a very appreciated destination in Morocco, this city has a charm and a unique setting to spend magical moments in the heart of the mountains of northern Morocco.